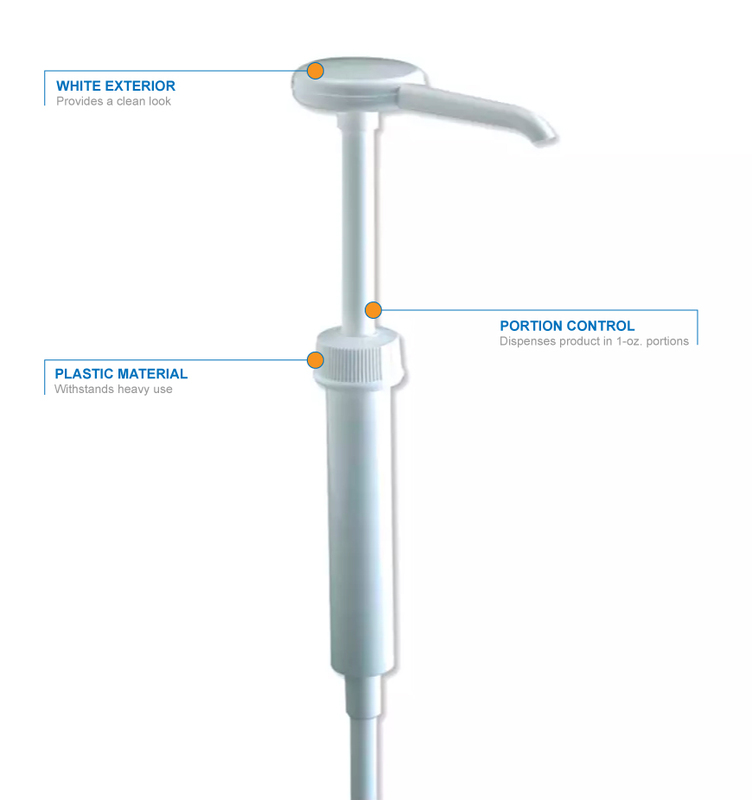 The San Jamar P7300 condiment dispenser pump is constructed of high-impact plastic that withstands high-volume use. 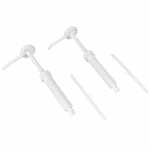 With a single stroke, the pump dispenses condiments in 1-ounce portions for precise control, and it fits into most containers with its 6.5-inch-long tube. This pump is ideal for ketchup, mayonnaise, mustard, and more.